Wash and soak chana or tuvar dal for a couple of hours. Leave in a colander to drain, no water should remain. 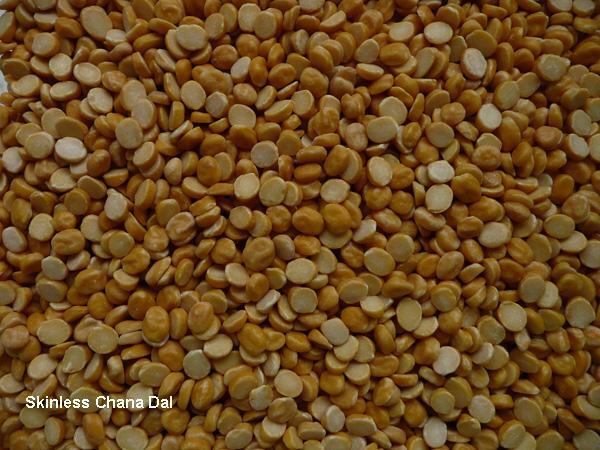 Place chana dal, perhaps half at a time and grind coarsely. It should be of �grainy� consistency, not smooth. Soaked dal does not usually require any water and grinds easily, especially if done in small portions. 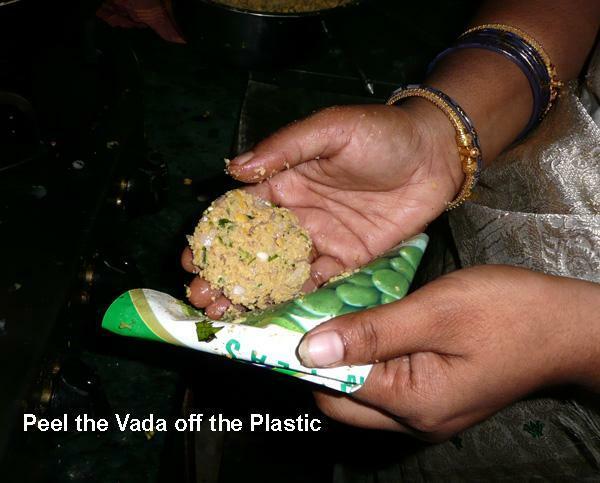 It should be like dough, not batter, so it can be shaped into vadas. 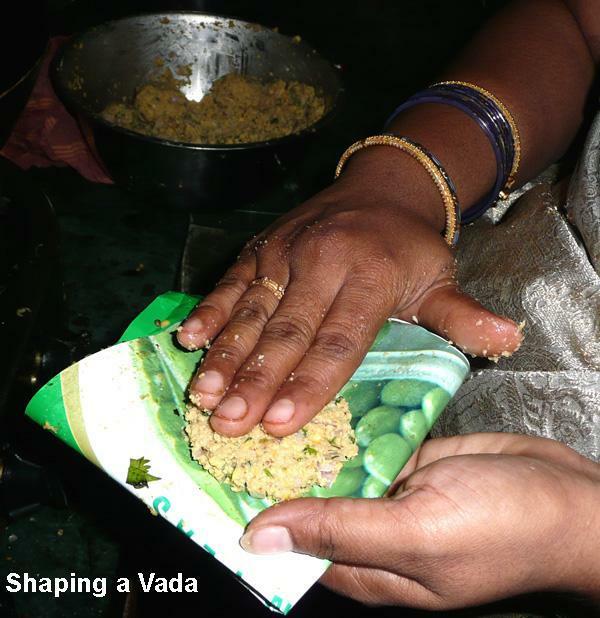 Place in a bowl and add chopped onion, green chillies, ginger, curry leaves and salt, mix well. Heat the oil in a wok or karahi to moderate heat, just under smoking point. Wet your palms and finger with water and pick about 1 tablespoon full of the mix at a time. Shape into a round balls then flattening slightly, to make into discs or a small burger shape. Shaping is easier, if you place on a piece of oiled plastic. Slide into hot oil from the side, gently, without splashing the oil. Fry turning over a few times, until golden brown and crisp. Drain on a kitchen paper. 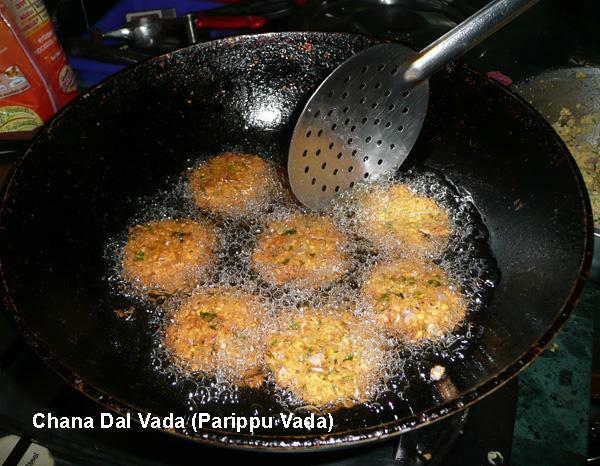 Serve immediately, piping hot, with Coconut Chutney1 or Coconut Chutney2 or Curry leave chutney or Tomato Ketchup.